Robert Z'Dar, however, was naturally blessed with the biggest jaw in Hollywood, and perhaps the world. 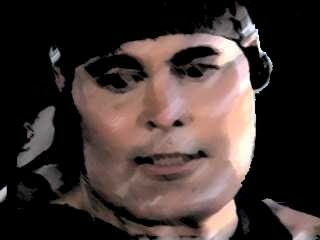 To quote TV guide, "Robert Z'Dar's swollen jowls give an alarming new meaning to the term lantern-jawed." Z'Dar's genetic misfortune has landed him numerous roles. Like a modern day Jack Palance, he has created a successful career as a fine actor, while others have capitalized because of the bear trap around his mouth. Click on the movie titles below for pictures and information about the man and his jaw. UPDATES: Click here to contact Robert Z'Dar on Facebook. TRIVIA: Birth name is Robert J. Zdarsky. He is 6'2" and of Lithuanian descent. Hails from Chicago where he once was a real cop. 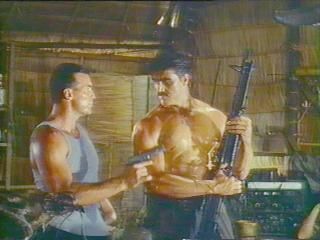 His aliases include Robert Darcy, Robert West, Bobby Z'Dar, and Bunki Z.
Click here for the "Really Scary: Interview with Robert Z'Dar" - Robert tells us how to play a bad guy, his thoughts on method acting, and how he actually began his career as a Chip n' Dales dancer! 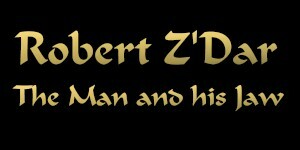 Visit TV Now to search for Robert Z'Dar Movies on TV this month!